It was appropriate for Paul Wittgenstein to premiere Richard Strauss's Parergon to the Symphonia domestica for piano left hand and orchestra. Can You Guess why this was such a good match? 1849 - Death of composer Frederic Chopin in Paris. 1905 - Premiere of Alexander Glazunov's Violin Concerto. Soloist was Micha Elman. At Queen's Hall, London. 1910 - Death of American composer Julia Ward Howe at 91. (Battle Hymn of the Republic). 1941 - First performance of William Schuman's Symphony No. 3. Boston Symphony, Serge Koussevitzky conducting. 1954 - Arthur W. Haule III, amateur violinist and webmaster, was born. 1964 - She's Not There, by the Zombies, was released. 1979 - Tusk, the two record set by Fleetwood Mac, was released. 1991 - Premiere of Wayne Peterson's 1992 Pulitzer Prize winning Face of the Night, The Heart of the Dark for orchestra. San Francisco Symphony, David Zinman conducting. 1996 - Premiere of Peter Lieberson's Fire. New York Philharmonic concert conducted by Leonard Slatkin. Paul Wittgenstein was a classically trained pianist. During World War I he was injured and had his right arm amputated. Wittgenstein continued his music career after the war, commissioning several well-known composers to write works for left hand only. Shinichi Suzuki was born in Nagoya, Japan October 17, 1898. His father, Masakichi Suzuki, ran a workshop that made traditional Japanese stringed instruments. He was fascinated with the violin, he made his first one in 1888, and by the early 1900's he owned the first violin factory in Japan. It was also the largest in the world. He thought his son Shinichi would help run the family business. Instead, Shinichi Suzuki (inspired by a record of Mischa Elman playing Schubert's Ave Maria) taught himself to play the violin. A wealthy patron invited Suzuki to Tokyo for lessons with Ko Ando, a former student of Johann Joachim. In 1921 Suzuki went to Berlin for further study. There Suzuki became a student of another student of Joachim, Karl Klinger. While in Berlin, Suzuki met and became a friend of Albert Einstein, who also played the violin! In 1929 Suzuki returned to Japan. He and three of his brothers formed a string quartet. They performed throughout Japan. In 1930 Suzuki became president of the Teikoku Music school and was conductor of the Tokyo String Orchestra. 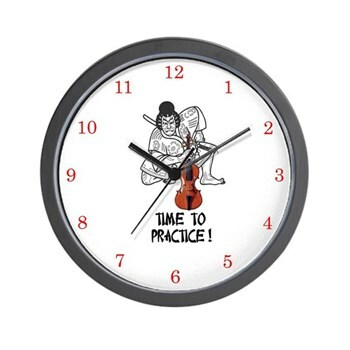 One day in 1933, while at a quartet rehearsal, Suzuki formulated the idea that just as all Japanese children have the ability to master the Japanese language, all children should be able to master a musical instrument (or anything else) using the same language acquisition techniques. In 1946 Suzuki went to Matsumoto where he helped start a music school, whih was eventually re-named the Talent Education Research Institute. The Japanese word "saino" means both ability and talent. It is also used to mean the development of an ability or of a personal trait, such as one's character. Thus, Talent Education refers to the development of skill, knowledge and character. Suzuki developed the repertoire presenting technical and musical concepts in a logical sequence. Soon teachers from across Japan were traveling to Matsumoto to learn the techniques. Materials were developed for cello, flute and piano. 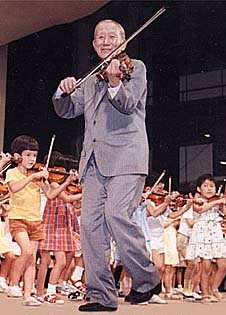 In 1958, a filmed performance by young children who had learned violin by the Suzuki method was shown to a group of string teachers in Ohio. The film caused a great deal of interest among American teachers who wanted to learn the method. A follow-up visit by Suzuki with anothergroup of Japanese students in 1964 brought more interest. Since then, the Talent Education concept has spread to more than 8000 teachers worldwide. 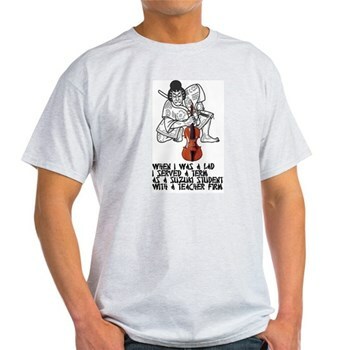 More than 250,000 students study music by the Suzuki method. Dr Suzuki died January 26, 1998, in Matsumoto, Japan. Click HERE to see our Suzuki Resource Page. Download Sheet Music to Your Computer Whenever You Need It!